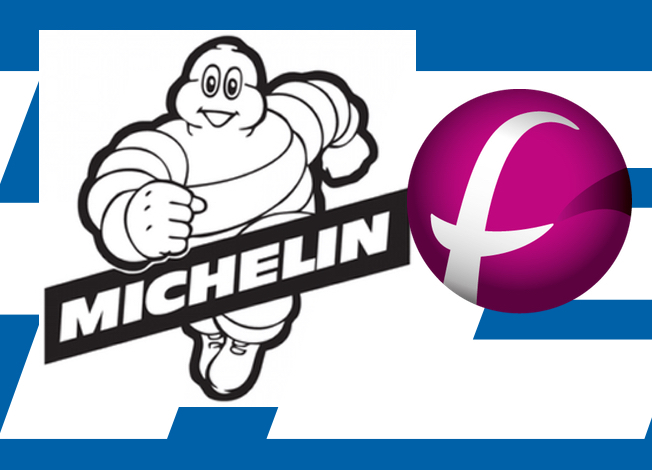 Group Michelin has set up a joint venture with French machinery supplier Fives Group S.A. in order to strengthen its expertise in mold design and production. The two companies will work together to develop industrial machines and production shops for metal 3D printing. Pierre Robert, director of Michelin’s research and development center in Ladoux, France said that the new joint company called “Addup Solutions,” will specialize in “cutting-edge technology which improves tire performance”. He said that it will use 3D printing to make molds having highly complex features. The emphasis will be on the development of tread features that can regenerate throughout the life of tire through the development of complex sculptures and mold features. This will make the adherence performance more sustainable. The tieup is part of Michelin’s drive to make longer-lasting tires that can continue to maintain high levels of grip even when the tread depth is at the legal minimum of 1.6 millimeters (2/32 nd inch). Over the past few years, Michelin had developed its own inhouse expertise in metal additive manufacturing in order to commercially make mold parts that are unachievable using traditional means of production like welding and machining. The company is currently using this technology to develop and market truck and car tires with “exceptional performances”. Fives is a global supplier of equipment and production systems for industrial companies in many sectors. It specializes in using its expertise in mechanical engineering, automation, and industrial process control to make fully digitized machines and systems for additive manufacturing and other industrial processes. Both Fives and Michelin will have a 50/50 stake in the new JV that is expected to become a key player in the market for metal additive manufacturing. AddUp was launched in April 2016 after the establishment of Fives Michelin Additive Solutions in September 2015 by the two groups.